There is a commercial on TV for Lunesta, which is a sleep aid. The commercial shows a woman who is a teacher who has a good night’s sleep, thanks to Lunesta, and wakes up so energetic that he gathers a bunch of junk and odds and ends and takes a big box of the junk to her class, where they all make musical instruments from it. So throughout this commercial, there’s a magical little green moth that flies around and lands on her shoulder while she’s peacefully sleeping. 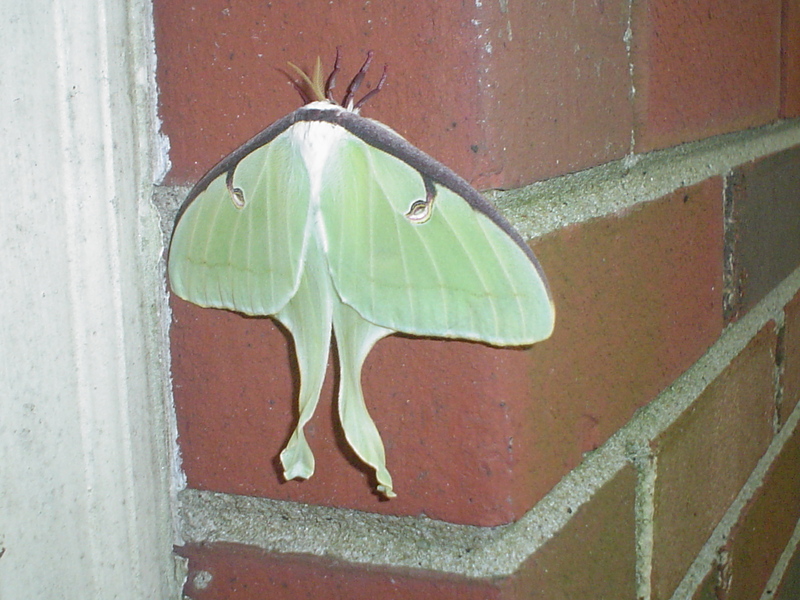 I don’t really know what the green moth has to do with getting a good night’s sleep. Honestly, I don’t know the technical difference between a moth and a butterfly. I suppose I used to know the difference – perhaps from biology class in high school. But I can’t recall much of the biology class – I hated it. So when I found this on the door jamb, I was reminded of the commercial and all these biology questions have come flooding back. It stayed there all day, but sometime during the night it flew away. I suppose it landed on some blonde girl’s shoulder . . . This entry was posted in Deep Thoughts, Health & Fitness, Home & Garden by Unsigned Podcast. Bookmark the permalink.